A discovery by the Association of Public Television Stations (APTS) substantiate what networks have been suspecting, the television broadcast industry is losing audience by pandering to younger viewers. 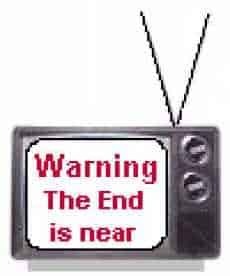 A new Washington D.C. study also found that older Americans are not prepared to dump analog television sets for digital even though much of America is willing to accepted this change coming rather soon now. Citizens over 65 prefer over-the-air signals and opt for the analog system. Conducted between 2005 and 2007, the first quarter of 2007 findings revealed that 24% of the American households belonging to 65 and above received their TV programs over-the-air. Just 17% owned a digital. Among the younger generation, analog was less popular, 19% of youngsters opted for it. Strangely, all Americans have been buying new TVs, those of all ages. Nearly half invested in a new TV within the past 36 months, the difference being 41% of over-65s and 55% under 65, revealed APTS. By February 2009 all analog TV transmissions are scheduled to cease, hence the older generation needs to be educated about DTV transition messaging from electronic retailers. Lawson is asking for tax dollars to impart consumer education surrounding DTV transition, instead of going to television manufacturers. To establish the APTS purpose, research group CENTRIS of Fort Washington, Pa did 12,000 telephone interviews early this year. It is believed to be the first time APTS data was researched to establish the impact of digital transition on a specific group of Americans.